Lilac shrubs have always been one of my favorite signs of spring. Growing up in Eastern Oregon we wouldn’t see the blooms until at least May, but here in the Willamette Valley we are blessed seeing them bloom as early as the beginning of April. Vases filled with freshly cut lilac reminds me of family, home, and my grandmother who passed on her green thumb to my mother and then on to me. Lilac or Syringa spp. (the common species is vulgaris) is in the olive family and is native to the Balkan Peninsula in Southeastern Europe. 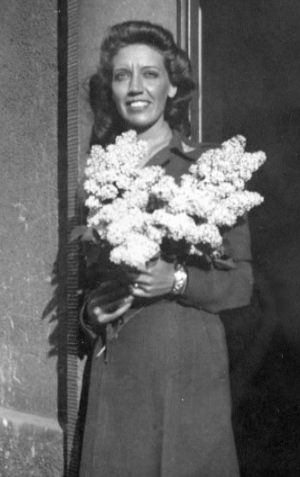 People emigrating from Europe brought the shrub to plant in their gardens in order to savor a piece of home. Here, out west, pioneers brought lilacs with them during the 1800’s and now you may find lilac growing wild in abandoned lots and homesteads. Lilac fragrance is wonderfully intoxicating, however, it is very difficult to capture the scent. Synthesizing in the lab is the only sure way to get a true scent. Here is an interesting recipe on how to capture the scent at home: How to Make Lilac Fragrance. 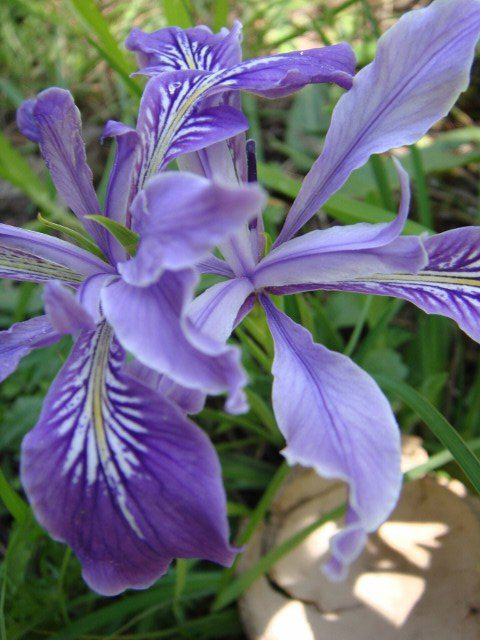 The flowers are edible and have some medicinal qualities. I have to say eating even a single flower raw is a flavor exploding experience giving my mouth a slight astringency (drying to tissues), bitter, and heavy floral taste. I would say these are best for garnishes and edible flower displays on pastries rather than whole meals. Medicinal uses are still a gray area when it comes to just the flower. Most resources that I have found (random blogs, pfaf.org, A Modern Herbal) list that the medicinal benefits of Lilac come from the leaves and fruit. Apparently, it was used as a tea or infusion historically, and has been used as a anti-periodic. Anti-periodic basically means that it stops the recurrence of disease such as malaria. There has been some studies that indicate a febrifuge action which may help bring down fever. The flowers themselves I can only guess based on my taste observations which include actions of astringency, aromatic, and perhaps bitter qualities. Astringents tighten, draw, and dry tissues such as skin. So a wonderful application would be a cold or warm infusion to use as a toner on the face. Or using the same method but apply to rashes, cuts, and other skin ailments. 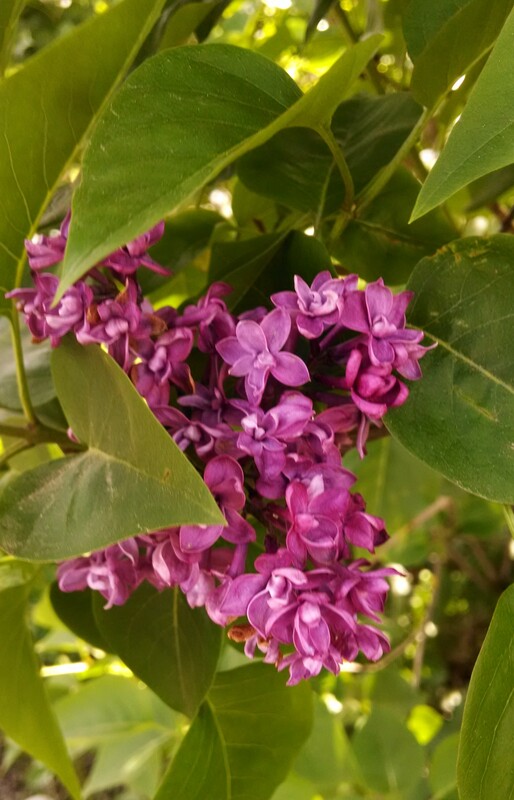 At the end of the blog I have included some links to great recipes to try with lilacs. I decided to try my hand at two of them that I will share. 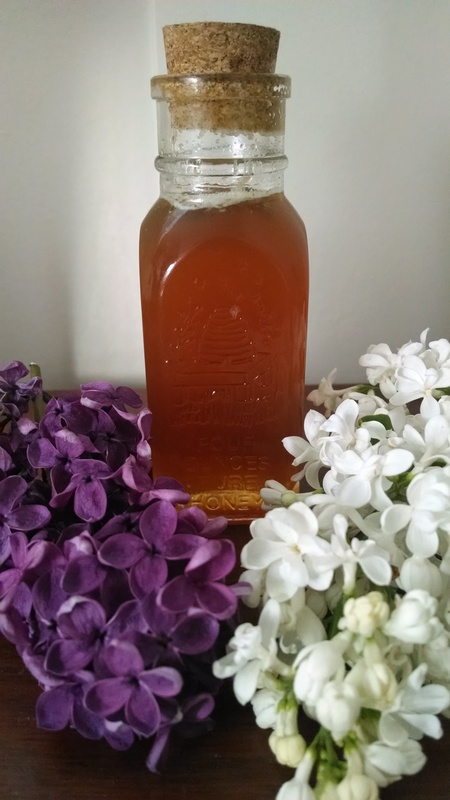 Lilac honey and lilac infused oil. Fill jar with freshly picked flowers with a little room at the top. Pour over honey to the top and cap. Allow to infuse for at least 6 weeks. No need to strain afterwards – eat the flowers along with the honey! Great for adding to recipes, spreading on bread, or adding to teas. Fill jar with very wilted flowers (make sure the flowers are as dry as possible to discourage rancidity). Cover with carrier oil and cap. Allow to infuse for up to 6 weeks. After 6 weeks strain and use in salve formulations or as a base for an aroma oil. Try combining with Lavender, Patchouli, or Jasmine Essential Oils. One more point of interest. Lilac wood is supposed to be one of the densest in Europe and has been historically used to make musical instruments such as pipes or flutes. We had to cut down one of our lilac shrubs I am sad to say, however we kept all the branches. I will choose one to make a pipe (hopefully one day soon) and will describe the process in another blog post. 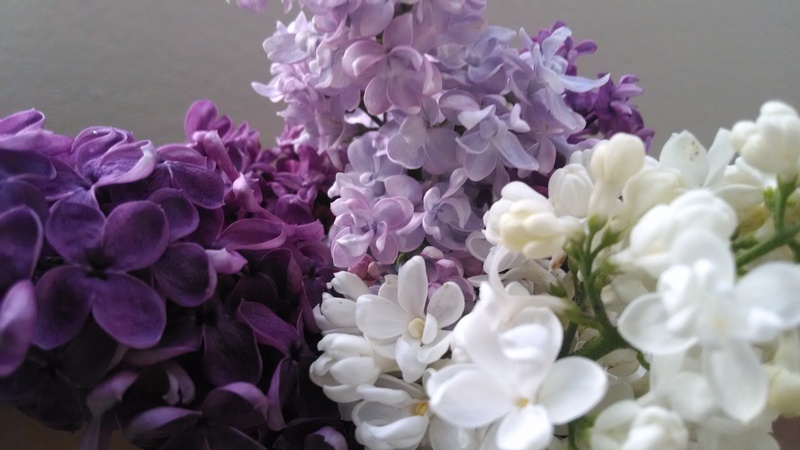 This entry was posted in Medicinal Plants, Wild Crafting, Wild Food and tagged Anna Bradley Herbalist, edible flowers, Edible lilac, edible plants, edible shrubs, lilac flowers are edible, lilac fragrance, lilac honey, lilac wine, Medicinal lilac. I have to cut part of my lilac tree down…where did you get the pipe made?? I would love to do this, as I have a HUGE lilac tree, but it has not been cared for properly! Hi Sandra, thanks for asking! I actually have not yet made the pipe. This was sort of a future idea in order to utilize the Lilac I had to cut down. You may want to cut the pieces large enough for the size of pipe you want to make and let it season. You can either find someone who might be able to make one or do some more research on your own. Good luck! Thanks for all your wonderful information and recipes. I seem to have a problem printing out the recipes. Did I do something wrong? Hi Phyllis, thank you for reading! I am not certain I know the problem. If you are trying to print the recipes I have written in the blog it may be that you will need to copy the text and paste it into a word document to print from there. I do have several links at the end of the blog that link to recipes from other people – if you are trying to print those I don’t really have any advice. Good luck! here is a great recipe for lilac cream tarts- with a little magic whipped in! Oooh lovely. Thank you for sharing! Thanks so much for posting this, I really enjoyed all the information! I tried making the lilac water for the jelly last night and it turned a brownish color. what did I do wrong? Hi there! You know I am not certain why it would turn brown. Did you have a lot of the green parts mixed in? When I made the water it ended up being a sort of neutral color almost tannish. I am sure it will be fine! Fantastic Article on one of our favorite hardy plants. I love your site. So informative and beautiful. Greetings from Baton Rouge, Louisiana. “Lilac fragrance is wonderfully intoxicating however it is very difficult to capture the scent and only until recently is there even a true essential oil made from the flowers.” ~ (FeralBotanicals) Absolutely love the entire article you posted on the uses of the Lilac plant as a whole. Never knew that the true fragrance was so elusive until now. I look forward to reading more of your blog. Hi Brenda thanks for asking! I actually haven’t specifically tried the lilac toner myself, however I did find a blog post who added their own recipe. You can find it here: https://peelaway.wordpress.com/2012/06/10/lilac-toner-finally/. Thanks! Im wondering how to make Lilac & grapefruit flavored water.Also do you know where I might be able to buy dried lilac now that the season is over ? Would it be alright to use ? I Lorrene – I apologize for overlooking your question and comment! That’s a great question about making flavored water. You may want to just steep the lilac flowers in a cold water bath for a few hours then strain. This is how you make rose petal water. The water should absorb some of the aromatics and retain the flavor. I have never seen dried lilac flowers and not sure if it is sold on the market. Good luck searching and thank you for reading! Lilac is what the blood sugar medication, Metformin was derived from. A couple of questions. Provided I get some greens in with the flower (as is wont to happen when I’m picking flowers), will the stem pieces hurt me in any way? Toxic? Same goes for the leaves. Thanks! Hello! Thank you for reading and for your questions. To the best of my knowledge and the research I have done the leaves, bark, and fruit of the lilac are medicinal (not classified as edible) and not specifically toxic. As always, take the most conservative approach with your wildcrafting and health, however I do not believe that small bits of leaf etc. will be outwardly harmful. I am certain they ended up in my recipes! Happy harvesting! Did you ever make a pipe? Sadly I slacked on that. One day I hope and I will certainly add it to my blog. Thank you for reading! Hello! Love the article, does anyone know where I can buy edible lilac? I have searched and searched with no luck any recommendations?